Even if you don’t become a bitcoin millionaire, right now might prove to be an excellent time to buy bitcoin with your 401(k) or standard IRA. If you’re asking yourself, “Can I invest my 401(k) in bitcoin?” the answer is, well, maybe. It depends on your situation, so read on to learn more. This article will explain some of the eligibility requirements to purchase bitcoin with your 401(k) funds by moving it into a Bitcoin IRA, show you the benefits of making this move, and describe the three steps that go into getting started. Making an investment in bitcoin (one of more than 1,600 cryptocurrencies) has a number of benefits for your retirement that standard asset classes can’t match. By investing your 401(k) savings into bitcoin (which can be achieved by converting your retirement plan into a self-directed IRA), you gain a huge amount of freedom of choice. That’s because you’ll be able to select from more options for your retirement plan than the conventional investment choices that are usually available in the market. But there are also a number of other details to consider before deciding to roll over your 401(k) into a Bitcoin IRA. Self-directed IRAs (SDIRAs) are a relatively unknown category of IRAs that unlock access to asset classes that sometimes have extraordinary growth potential. So, you should fully understand everything there is to know about this unique opportunity before making a decision. Finally, because most people don’t fully understand how to get started transferring their 401(k) savings into digital currency such as bitcoin core (the original bitcoin), bitcoin cash, Ethereum, or Ripple, this article will explain that as well. Get in on the ground floor of “the next big thing,” a major disruption of the central banking system. Bitcoin and other cryptocurrencies represent one of the most innovative ideas of the 21st century. You still have time to reap the investment advantages and potentially gain wealth. You can leverage tax-deferred personal property status by investing 401(k) savings in a Bitcoin IRA. Thanks to the IRS Notice 2014-21, digital currency such as bitcoin is treated as personal property.Gains you accrue can be retained tax-free until you take a distribution. But you also have an enormous advantage when you buy bitcoin for your IRA and sell it later while keeping your funds within your account.In this scenario, you can reinvest your capital into any IRA-eligible asset and still get tax-deferred benefits. These assets can include stocks, bonds, mutual funds, ETFs (exchange traded funds), precious metals, private equity, certain types of real estate, and more. You can further diversify your retirement plan by rolling part of it into a Bitcoin IRA. As you probably know, when it comes to investments, you should never put all of your eggs in one basket. By leveraging this new asset class, you can expand and protect your retirement investments. You get to leverage the power of the blockchain with fast, secure, peer-to-peer confirmation and mediation. Bitcoin works directly from person to person, with 100-percent, secure blockchain platform software that conducts the transaction. This allows you to remove the “middle men” like governments and banks, and take back control of your retirement. You can protect part of your retirement savings from inflation. Some digital currencies (including bitcoin) have a hard limit on how many tokens are available. All cryptocurrencies become harder to get as supply increases. This is called adaptive scaling. Unlike easy-to-get fiat money that is printed on demand, a Bitcoin IRA allows you to hedge your savings against inflation. You can take control of the funds in your old 401(k), so it’s not under the influence of the central bank policies. Cryptocurrencies like bitcoin don’t rely on the performance of our central banking system. They are decentralized, so they don’t have a controlling entity that the money flows through. This means this part of your retirement funds cannot be manipulated. Governments and banks can’t interfere. Hedge against a “stock bubble” that might turn your retirement plan into rubble. Roughly every 6 to 10 years, the market price corrects for overvalued stocks. If you don’t have money in the right places, your retirement savings could suffer the consequences. As one of the things that you can do to avoid this, roll some of your 401(k) into a Bitcoin IRA to protect yourself. Before you can take advantage of these rollover benefits, there are specific details you need to know, and three steps you must take. In as little as a few days from now, you can convert your 401(k) savings to buy bitcoin. But most 401(k) programs don’t allow the direct purchase of digital currency. 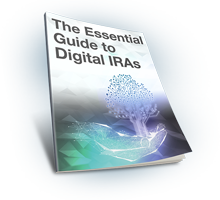 So the easiest and quickest way to get the benefits we’ve listed above is to use a self-directed Digital IRA. “Self-directed” means you’re in charge. While that may sound challenging, it’s really simple. Plus, you get to maintain complete control of your investments. On top of that, IRS guidelines allow these sorts of IRAs to invest in a complete assortment of different assets, including bitcoin. They can include gold, silver, real estate, private equity, and more. The general rule of thumb is that you established your 401(k) as a full-time employee from a previous employer, or you are more than 59.5 years old. Other eligibility requirements can vary, depending on the type of retirement plan you have, such as a Roth IRA, 403(b), 457 and Thrift Savings Plan (TSP). Please note, the rules dictating eligibility to move a 401(k) to an IRA aren’t always crystal clear and can vary from person to person. If you are confused or unsure of your own eligibility, please contact BitIRA today for a complimentary consultation. We have a team of IRA Specialists, who are well-versed in the rules of 401(k)-to-Bitcoin IRA rollovers. If you make a bitcoin investment for your SDIRA, they can assist you with the entire transfer process to make it quick and easy. However, please note that there is no obligation for you to take any action after your consultation. You open and fund a self-directed Digital IRA with a qualified custodian, so you’ll be able to start the process of transferring your 401(k) savings to a bitcoin-based retirement plan. In order to set up this new account, our IRA Specialists can complete as much of the paperwork as you’d like; we’ll adjust to your level of comfort.With BitIRA, your new custodian will be Preferred Trust Company (PTC), a licensed trust company with a specific focus on self-directed IRAs. PTC’s custodian fees are among the most competitive in the industry, especially as it relates to Bitcoin IRAs. BitIRA works with PTC and our bitcoin exchange partner to acquire your new digital currency assets on your behalf. By overseeing one of the largest networks of trading partners in the cryptocurrency market, they ensure that when you buy and sell bitcoin, the transaction is completed with extreme speed. Your bitcoin will be stored in a digital or bitcoin wallet via our proprietary solution, the world’s first fully-insured cold storage wallet for digital currency IRAs. Simply put, there is no more secure option for storing cryptocurrencies in your IRA. To learn even more, read about the full process of rolling over a 401(k) to a Bitcoin IRA. To learn about the relationships between bitcoin prices, value, and technology, read our bitcoin IRA backgrounder. The team at BitIRA has been helping Americans purchase alternative assets for their IRAs for years;. We are fully prepared to help you convert your 401(k) savings to bitcoin quickly and easily. How is a Bitcoin IRA IRS-compliant? Which digital coins can I purchase for my IRA? Can I transfer retirement accounts beside a 401(k)? What are the fees, and what do they cover? How do I know that my cryptocurrency will be secure? Then, your Digital Currency Specialist can help you complete paperwork, oversee rollovers, explain asset options, assist with contributions or distributions, offer ongoing support… and a whole lot more. For bitcoin market and product news, check out our blockchain blog. To take the first step in converting your 401(k) savings to bitcoin in a digital currency IRA, contact us today.